Daily Fantasy Sports (DFS) operators, DraftKings and FanDuel have spent most of this year in lobbying efforts to have DFS legalised in states across the USA. DFS has risen to main stream popularity over the last few years, and along with the fans, came scrutiny from State Attorney Generals from across the country; most of their concern was surrounding the question of whether the offerings from popular DFS providers, such as DraftKings and FanDuel, should be considered games of skill or those of chance and whether they too should be regulated under licenses to operate like casino gambling and other forms of games of luck. 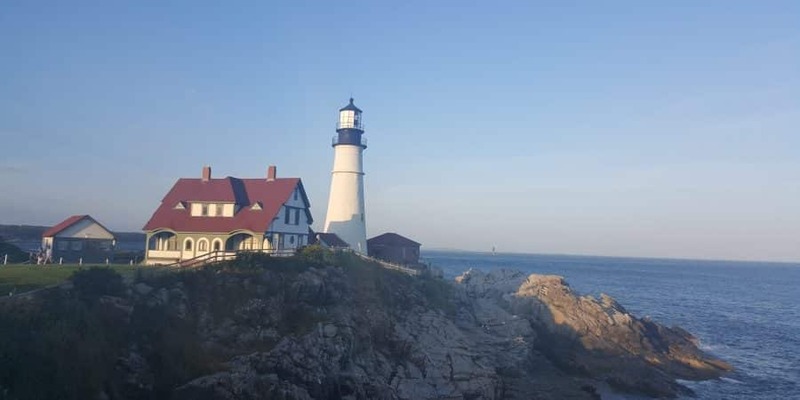 Eight states in the country have legalized DFS in the year 2016 so far and the increase in popularity of daily fantasy sports amongst residents in Maine has also recently captured the attention of legislators in the state, which is the 10th least populous state in the USA. The law makers have vowed to take a closer look at the prospect of regulating fantasy sports in the state, to bring a safe service to their citizens. Republican State Senator, Roger Katz of Augusta has submitted a new bill title for consideration in the next session, which aims to scrutinize the issues surrounding the regulation of DFS. He does not have to submit a detailed proposal until after the session is underway; a details proposal can be written once a number of questions surrounding the industry is clarified amongst the state government officials. Two key questions to consider with the DFS bill. According to Katz, the state of Maine will be able to hit two birds with one stone with the regulation bill for DFS; it will firstly serve to bring in an additional income for the state in the form of possible licensing fees and taxes and secondly, it can also serve to safeguard the players in the state, who take part in the ever popular paid money contests offered by the DFS sites. Bangor Daily News reported that some of the lawmakers in Maine were at the National Conference of State Legislatures in Chicago earlier this month; they took the opportunity to meet up with executives from different DFS companies to discuss the possibility of bringing regulation to fantasy sports in the state of Maine next year. The DFS industry has grown at a rapid pace in the USA and now reportedly has more than 57 million active players throughout the country. DraftKings and FanDuel are two of the biggest operators and currently control 90 per cent of the market. According to both the operators, amongst all their different offerings, pro-football continues to be the most popular DFS game. A market report stated that entry fees collected by DFS operators in the USA in 2015 were around USD 2.6 billion and that it is expected to rise to as much as USD 14 billion by the year 2020. State Representative, Matt Pouilot of Augusta, who was also present at the meeting in Chicago, echoed the same statements as Katz that while issuing taxes on DFS services could bring in a lot of revenue for the state, the players in the state of Maine would require and definitely deserve some form of protection when engaging in these online contests. “There was some pretty big blow up with Draft Kings and, you know, a while back with some reports of insider baseball, no pun intended, going on with one of their employees,” he said. A third member of the Maine state government, State Attorney General Janet Mills, agreed that the legalisation of the DFS industry would generate a significant amount of revenue for the state in the form of gaming taxes. However, she highlighted that there are a number of issues surrounding DFS and DFS legislation that needs to be qualified before they can go ahead and look at a bill to legalise and regulate DFS in the state. She said, firstly, when they come up with the regulation bill, the legislators need to address the basic question of whether DFS should be considered a game of chance or a game of skill; the criminal code in Maine is rather ambiguous when it comes to determining what category DFS games would fall under. This will be followed by a long list of many other issues that need to be explored before the legislators can proceed with drawing up the bill. She reiterated that it was important for lawmakers to come up with strong regulations for the DFS industry that looks to establish rules, which can place limits how much each DFS players can bet at a time on online contests and to determine who is eligible to play, for example, a strict age restriction. Mills also said DFS providers should have to clearly display their disclaimers highlighting the odds of winning to all their players under any new bill. Senator Katz is confident that the DFS industry could be a great fit with the state of Maine, provided the right regulations are implemented and the whole symbiosis could then also generate additional income for the state. Eight other states across the country – New York, Massachusetts, Colorado, Missouri, Indiana, Virginia, Tennessee and Mississippi have enacted fantasy sports laws this year; Massachusetts being the latest, where daily fantasy sports were legalised just a week after New York. Maryland also passed a law to deal with fantasy sports in 2012, while Kansas passed their own law in 2015. Few other states are also currently discussing DFS bills and the states that could still legalise DFS this year include Pennsylvania, New Jersey and California. The success of the lobbying efforts by the DFS companies is obviously great news for the industry, especially since they have spent most of the year lobbying to have their sport legalised in the USA and recognised as a game of skill and not as one that depends on luck.